Here at Muddy we’ve fallen head over heels for the charms of this handsome country manor house hotel, with its knockout looks and luxury trappings. 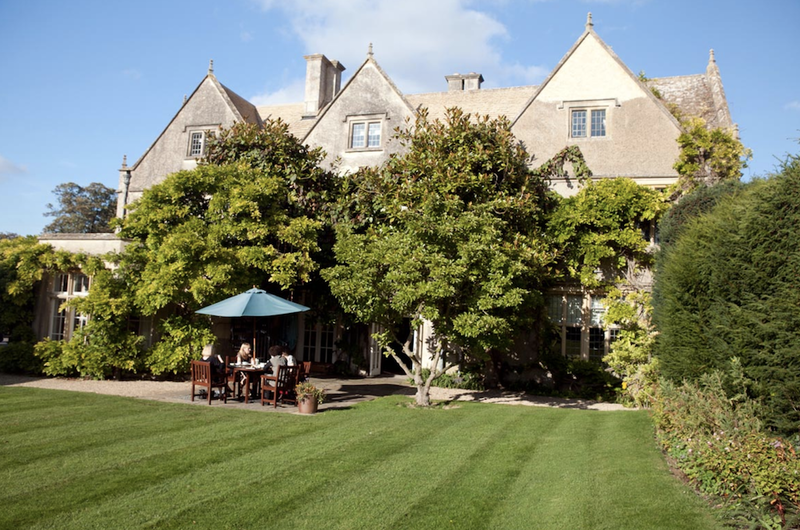 This impossibly romantic luxury hotel on the outskirts of Cheltenham will get your pulse racing. Housed in a grand Elizabethan manor house with roaring fires, chandeliers, stylish interiors, top-notch food, an indulgent spa and gardens with views to die for, it ticks all the boxes for a fairy-tale weekend getaway. There are 21 individually styled bedrooms each with their own character: some have exposed beams, four-poster beds, slipper baths; all have countryside estate views, a spacious feel, Espa toiletries and boutique appeal. The feature suites Elm, Oak, Willow and Cedar get Muddy’s vote for special sojourn à deux, having opulent king-size four posters, the best views in the house and pleasingly decadent touches. Food is a highlight at The Greenway – head chef Marcus McGuinness is a fan of big flavours and turns out impeccable dishes such as cured salmon with pink grapefruit & ginger, confit guinea fowl with Iranian aubergine, and elderflower panna cotta with rhubarb jam & sorbet. 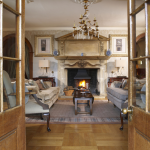 There’s a grand oak-panelled dining room with stone fireplace and glass doors onto a terrace overlooking croquet lawns, as well as a sleek new brasserie which adjoins the Elan Spa. 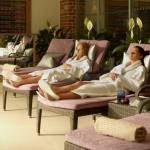 The latter is another big draw – with its incredible hydrotherapy pool, alfresco hot tub, sauna, steam room and extensive menu of Espa treatments, you can expect to be properly pampered. And for such a romantic place, you’d be right in thinking they know a thing or two about hosting the perfect wedding, be it large, small or in-between. And in August this year, there will be a bespoke wedding marquee in the grounds, which looks fab – think crystal chandeliers, carpets, dancefloor, veranda and glorious views of the Cotswold hills. But if you’re beyond that stage and already have kids hanging off your arms, don’t think The Greenway with all its romantic possibilities isn’t for you. 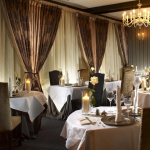 They’re very welcome and indeed there is a pre-bookable hotel nanny so you can dine out on the romance too!